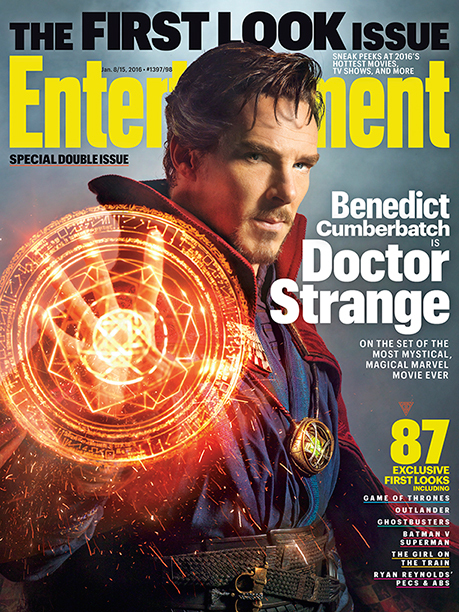 Cumberbatch is looking the part, dressed in the classic costume with signature facial hair and greying temples. He's cognizant of not only the look of the famous Marvel character but also the gestures a sorcerer supreme would make. Production is under way with director Scott Derrickson and a cast that includes Chiwetel Ejiofor, Rachel McAdams, Michael Stuhlbarg, Tilda Swinton, and Mads Mikkelsen. 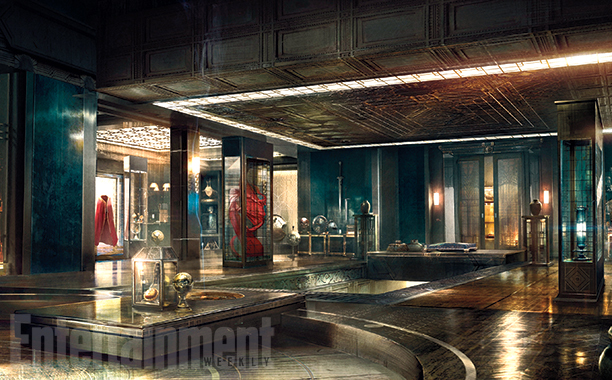 Mikkelsen is the unnamed main villain and Swinton will play the Ancient One. "Mad's character is a sorcerer who breaks off into his own sect," says Marvel Studios president and producer Kevin Feige. "[He] believes that the Ancient One is just protecting her own power base and that the world may be better off it were to allow some of these other things through." 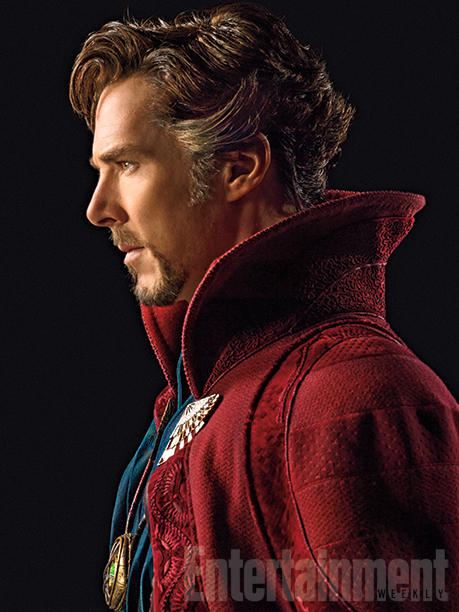 Cumberbatch plays Dr. Stephen Strange, a world-reknowned surgeon with an equally notorious ego, who becomes Sorcerer Supreme and defender of Earth against mystical threats. The character was created by Stan Lee and Steve Ditko in 1963. Ditko used surrealistic mystical landscapes and vivid visuals that helped make the feature a favorite of college students at the time. "When this comic appeared in the early '60s, it really informed, in a way that is pretty amazing, a lot of the psychedelic '60s as we know it. 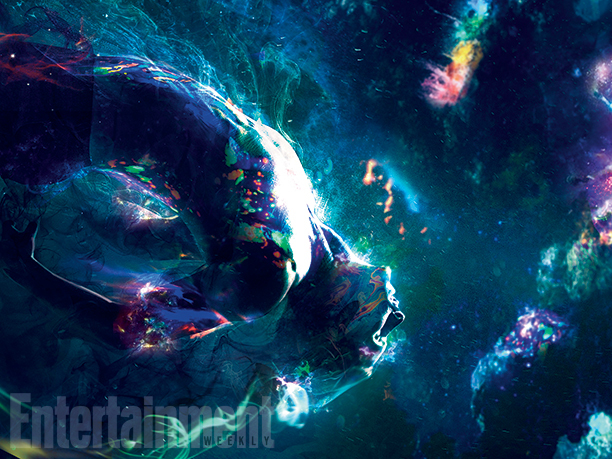 I don’t know that they were doing anything weird in the bullpen in Marvel, but certainly the stuff they were doing inspired all those people who were doing mind-expansion experiments at the time," explains producer Kevin Feige. "So, that's inherent to the property. And that's our mission statement for the visual effects on this movie." It'll be interesting to see how the magically powered Doctor Strange fits in the superhero-heavy world of the Marvel Cinematic Universe. So far the studio is sticking to the comic book look of the character. Regardless, Cumberbatch was the actor the studio was hoping to snag for the role. 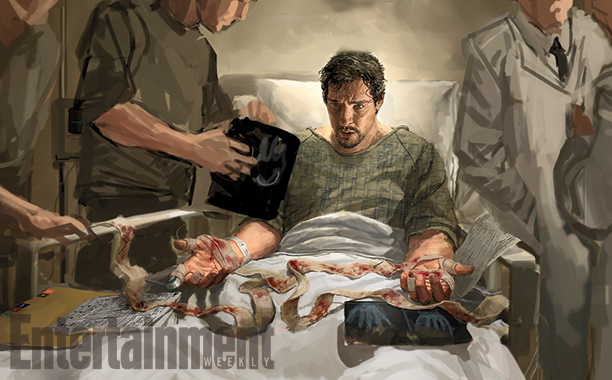 "[Benedict] was someone that we were very interested in for a very long time," reveals Feige. "But he kept getting more popular, and more popular, and he kept getting busier, and busier, and it looked like the timing wasn’t going to work. 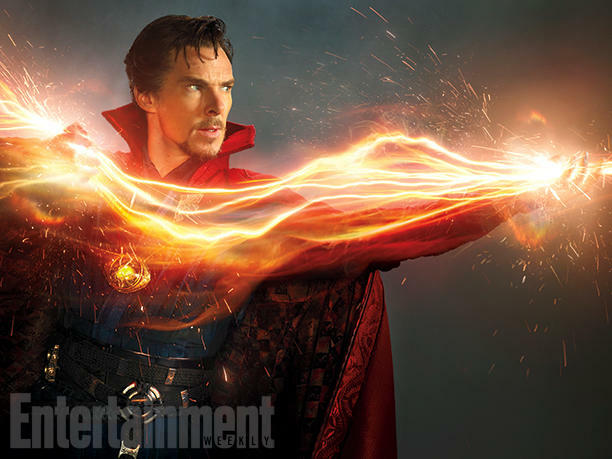 So we looked at some other actors for a while and ultimately decided, ‘We have to try and make it work with Benedict and with his schedule.’"
We'll have to wait until Novemer 4th to see how it all comes together but with another star-studded Marvel Studios film, chances are 'Doctor Strange' will be another hit for the comic book movie factory.